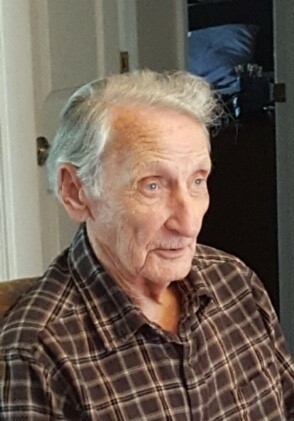 Loyd Glenn Alexander, 88, passed away Tuesday, January 29, 2019. Born January 8, 1931 in Cookville, TN, he was the son of the late Herbert Alexander and Lera Savannah Riley. Loyd was also preceded in death by a daughter, Debbie Elizabeth Alexander. An only child, Loyd was raised by his single mother. He developed a strong sense of family as well as a proud work ethic and determination. These traits stayed with him throughout his life. He worked for nearly 50 years in the brick and block industry. His career began with the former Breeko Block Co. where he worked for 35 years starting as a laborer and eventually working in practically all areas of the company. He was a truck driver, yard manager and equipment operator among other positions. He left Breeko to work for Union Station Brick for several years and then to Franklin Brick from which he retired at the age of 71. Loyd had been the first truck driver in Nashville to operate a tractor trailer rig with fork lift on trailer addition. This innovation allowed him to not only deliver brick and block to various job sites, but to place the materials where the bricklayers preferred once on site. He enjoyed working on automobiles, gardening and watching old westerns. He also enjoyed watching football and loved his pets. His greatest pleasure was derived from spending time with his family, especially his grandchildren. These times also often involved homemade food or dessert items which he loved. He was a very giving man who enjoyed helping others in any way he could. One of his prized material possessions was his 135 Massey Ferguson Tractor. A Christian man, Loyd was also a member of Rivergate Church of Christ. A Loving and dedicated husband, father, grandfather and great grandfather, he is survived by his wife of 68 years, Betty Jean (Draper) Alexander; his four daughters, Brenda Lassiter (Barry); Glenda Underhill (John Sr.), Jan Alexander, and Lynn Smith (Chris); five grandchildren, Heather Crowe (Steven), Jennifer Lyall (Jamie Sr.), Holly White (Eric), John Underhill Jr. (Kayla) and Tommy Smith; and his five great-grandchildren, Christian Crowe, Brenden Crowe, Abi White, Jamie Lyall Jr. and Loudon White. Visitation will be held Friday from 4 – 8 PM and Saturday from 10-11 AM at Cole & Garrett Funeral Home, Goodlettsville. A Life Celebration Service officiated by Sellers S. Crain Jr. and Doug Tooley of the Rivergate Church of Christ will be held at the funeral home Saturday at 11 AM followed by interment at Spring Hill Cemetery. Acting as pall bearers will be Barry Lassiter, John Underhill Sr., Chris Smith, Jamie Lyall Sr., John Underhill Jr. and Tommy Smith. I am so very sorry to hear of your loss. My condolences and prayers to you and your family during this time of need. We are praying for you all on the loss of your Husbsnd and Father and Grandfather.